We help you with all the steps needed to incorporate a business in Canada. 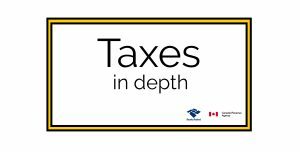 Name selection, tax planning, taxes that will be due to your business segment, and Canada Revenue Representation are between the services we provide. At the end of the fiscal year, we’ll prepare all year-end adjusting transactions and prepare the financial statements: balance sheet and income statement. Preparation and filing of T2 – Corporate Tax Return based on the financial statements. In the event that CRA audits your return we will be available to represent you and act as your advocates during the entire process.